The criteria for the selection of a golf resort in this list is based on several factors like quality, accommodation, food available, and finally other facilities on the resort for a wholesome golf holiday. Consisting of eight excellent golf courses, this includes the famous No. 2 course which hosted the Ryder Cup in 1951, the U.S. Open in 1999 and 2005. In 2014, another reason the No. 2 course made its place in history when it was declare the first course to host the U.S. Open and the U.S. Women’s Open in consecutive weeks. The Pinehurst No. 2, No. 8 and No. 4 are ranked among America’s finest. Nos. 1 and 3 are noted as famous golf architect Donald Ross’ best work. The No. 2 course has upturned saucer greens that make approach shots into bunkers and greenside challenging, and definitely tests putters. With three excellent hotels, eight restaurants and a host of bars and cafes this golf resort also has a superb spa and fitness center, tennis courts, and almost all other sports imaginable, making for the best golf holiday in USA. In the heart of the home of golf, The Old Course Hotel is a 17-hole golf course that opens the doors of all the best courses in the St. Andrews area: the Old Course, the hotel’s Duke’s Course, the Kingsbarns designed by Kyle Phillips, the two exceptional courses at the Fairmont St. Andrews and the extremely challenging Open Championship venue Carnoustie that lies a mere 50 kilometers north. Explore this old town while staying at a luxurious five-star hotel that have the best-in-class restaurants. While on golf holiday in Scotland get pampered in the Kohler Waters Spa and watch a game or two while sipping on a refreshing drink from more than 200 malt whiskeys in the Road Hole Bar. This place played host to the exciting Ryder Cup in 2006 and 2012. 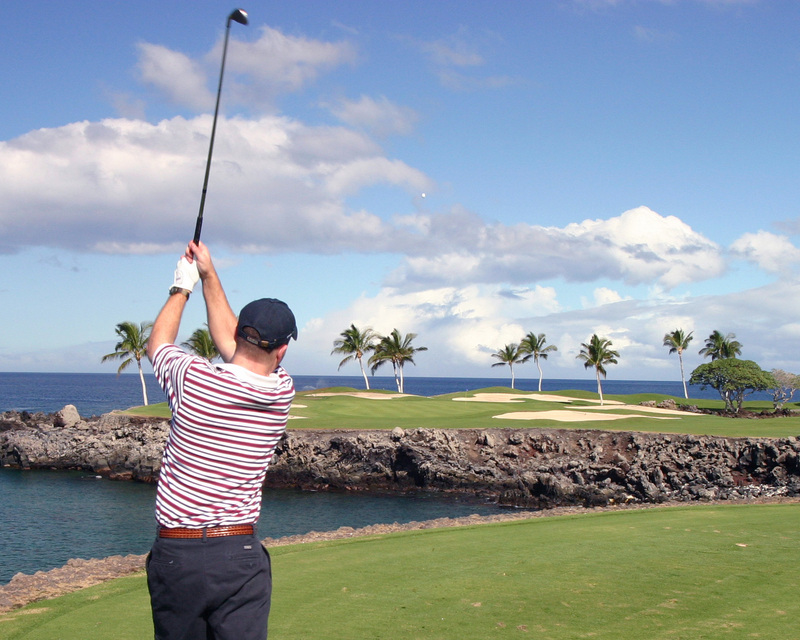 Its two courses were designed by the renowned Arnold Palmer, and offer a very different set of trials. The Palmer Ryder Cup course is an exquisite green parkland lined with trees, while the Smurfit course is an inland links that contains water hazards, with a landscape devoid of trees. It is also a great base to reach the courses in the area, like the Royal Dublin, Portmarnock, the Montgomerie and O’Meara courses at Carton House, and Pat Ruddy’s splendid The European Golf Club at Brittas Bay. A beautiful French-style chateau serves as accommodation on your golf holiday in Ireland. You can feast on a full Irish breakfast at the River Room restaurant for enjoy Asian cuisine at the Kwan Suk. The K Spa is a relaxing retreat and there’s falconry, clay pigeon shooting, horse riding or fishing on the K Club estate if you have a love for the outdoors.